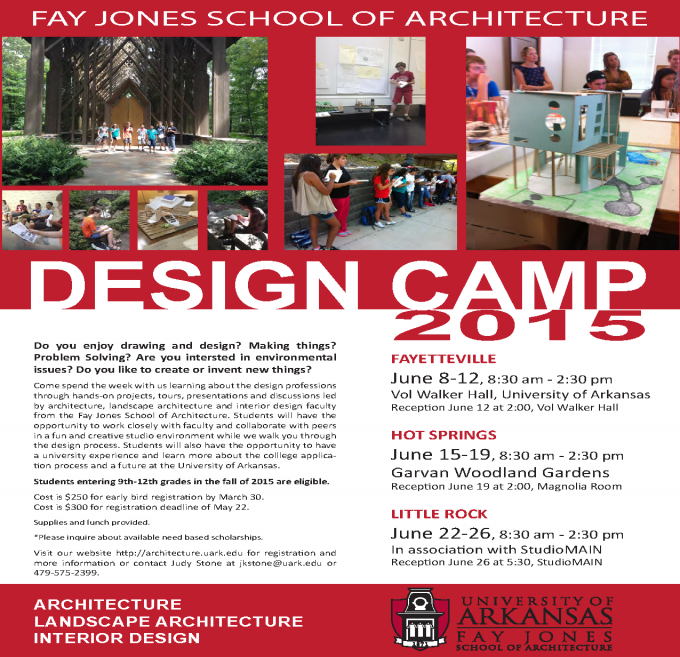 Design Camp offers the chance to learn about the design professions through hands-on projects, tours, presentation and discussions led by architecture, landscape architecture and interior design faculty of the Fay Jones School. 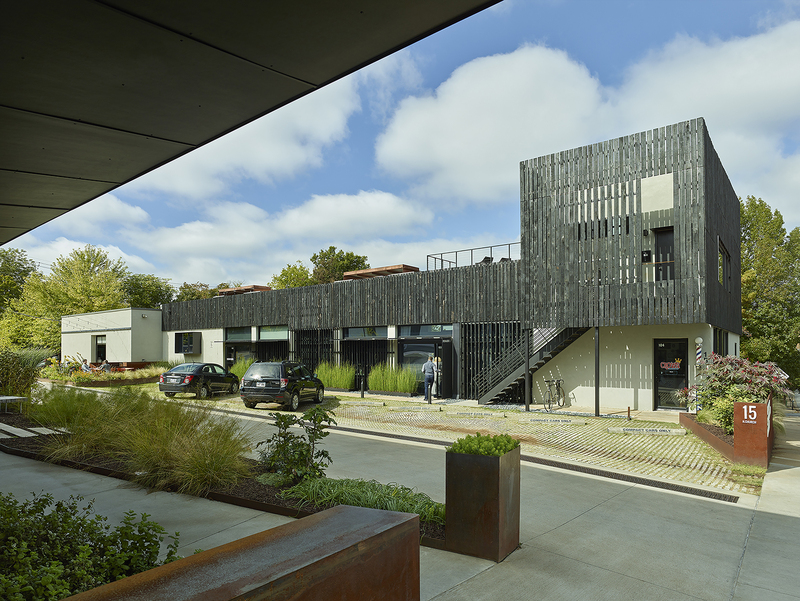 Students will have the opportunity to work closely with faculty and collaborate with peers in a fun and creative studio environment while they walk with you through the design process. The camp is open to students going into ninth through 12th grades in fall 2015. Supplies and lunch will be provided.